Santa Fe College has just been awarded new grant funding for the Educational Talent Search Program in the amount of $326,400. The current projected funding amount for this five year project is now up to $1,632,000. The ETS director believes that nothing can replace the power of experience and based on that principle the team promoted and developed initiatives and strong partnerships. One example given was for the ninth grade initiative that was created to focus intentional resources and programmatic strategies to promote seamless transition to and through high school. Through this initiative ETS provides experiential learning opportunities that promote college and career explorations; connect high school learning to future career goals; and empower students to set academic goals related to school attendance, GPA, and academic rigor. Credit for this initiative’s success is given in part to a solid partnership with many colleges at the University of Florida such as the College of Journalism, the College of Medicine and the Athletic Department. 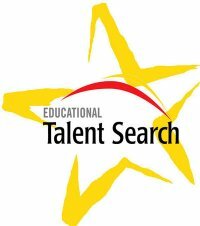 The North Central Florida Educational Talent Search is funded by the U.S. Department of Education and operates in consortium between the College of Central Florida, Florida Gateway College and Santa Fe College.